The Trust brought together 18 organisations from across the county as we played host to the fifth Joint Programme Management Office (JPMO) West Kent Alliance Worskhop this week. The bi-annual workshop, which was held at our Academic Centre in Maidstone, was attended by organisations such as Kent County Council, Kent Police, Age UK and neighbouring Trusts and provided a chance to discuss transformation programmes and hear updates from new organisations joining the highly successful West Kent Alliance. 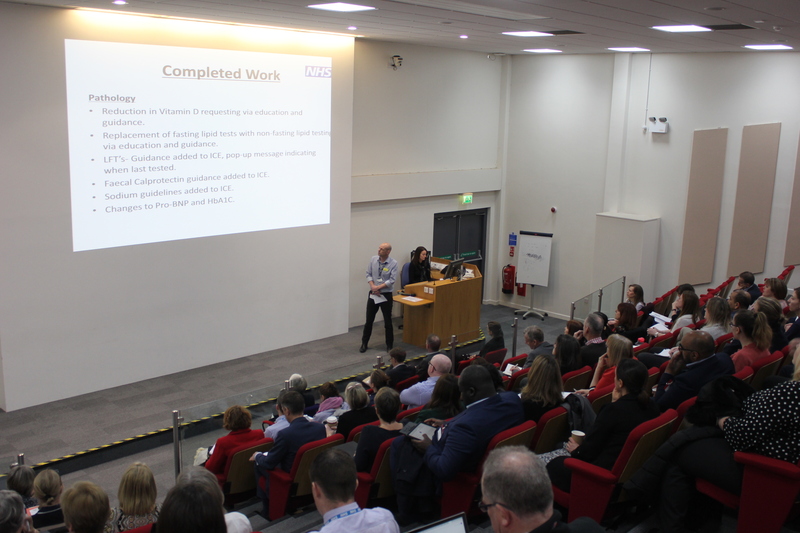 Joined by almost 90 delegates, attendees heard presentations about progress from Frailty, Dementia & Diagnostics since September, as well as details of new programmes set for 2019/20. With a wide range of guest speakers from across the Trust, including our Chief Executive Miles Scott who closed the event, there was also a Q&A opportunity as all organisations in attendance look to work collaboratively as we work towards improved healthcare across Kent. A huge congratulations to everyone involved in organising the event!